Wondering why you’re not able to stay within your budget each month? 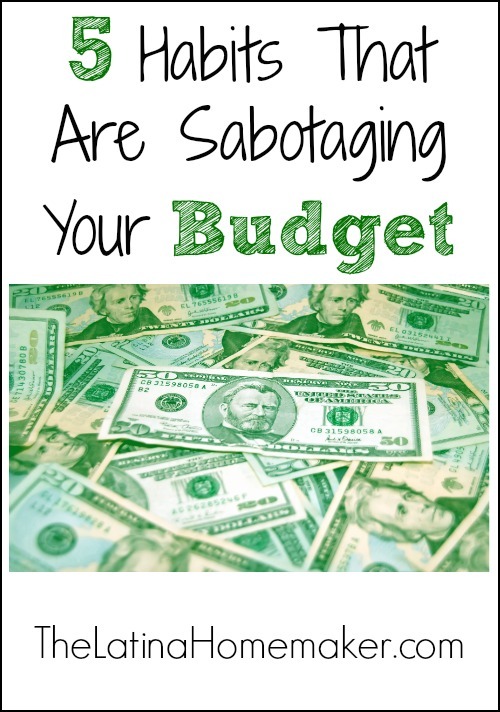 Perhaps one of the following 5 habits is sabotaging your budget. 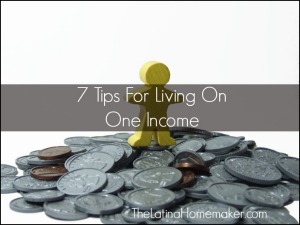 Maintaining a budget is one of those ongoing struggles many of us have. Once you think you have it all figured out, something unexpected throws a wrench in your plans. However, there are certain habits that sabotage our budget continuously. But if you can put a stop to these budget busters, you’ll be several steps ahead and well on your way to financial freedom. 1. Failing to plan for the unexpected. Failing to plan for emergencies is one of the easiest ways to get your budget off track. We all know that at some point we’re going to have some form of unexpected expense. Whether it’s a car repair or medical expenses, you need to be prepared for these as much as possible. So instead of getting caught off guard and blowing your budget, set aside a fixed amount each month until you build up an emergency fund. Most experts recommend a goal of $1,000. Personally I think that if you are able to save more, you should. 2. Not budgeting for special occasions and holidays. We all know that Christmas will come around every December, yet we wait until the day is almost upon us to start “budgeting”. Unfortunately, budgeting a few weeks beforehand is not going to cut it. Instead, you need to budget for these occasions well in advance. First jot down every special occasion you know you’ll be spending money on during the year. Include everything from birthdays to weddings. Next, estimate what you’ll be spending in total for all and divide by your number of pays. Whatever that number is, set it aside each pay period in an account you won’t be tempted to touch. Set up automatic bill pay. If you’re budgeting and you know the money is there, just set up this feature with your utility company and you’ll never be late again. Write it in your calendar several days before it’s due so you have plenty of time to mail a check or pay online. Use a free phone app, such as Manilla, that will remind you of your due dates. You’ll get several emails leading up to your bill’s due date so you won’t forget. Pay immediately. As soon as you get it, pay the bill and you’ll never have to worry about it again. Dinner time rolls around and you have no clue what to make. You finally figure it out, but you realize you can’t make it because it requires an ingredient you don’t have or you didn’t thaw out the meat. So instead you end up ordering pizza and calling it a day. Sound familiar? I’ve done this plenty of times and unfortunately, it’s the easiest way to blow your food budget. Food is typically one of the largest expenses for many families and with rising food costs, it will continue to be. So spending a little bit of time to plan out meals will not only save you money, but it will also save you time. If you know that you’ll be very busy one week, cook some meals ahead of time or plan meals that require little prep time. Just make sure that you plan at least a week’s worth of meals so that you don’t find yourself buying take out at dinner time. If you want to learn how to save money on groceries check out 7 ways to save money on groceries without coupons. 5. Treating wants as needs. You worked hard all week and decide you deserve a $30 pedicure along with a $5 cup of latte. And while you’re at it, you also go ahead and splurge on a new shirt because you need a new one anyways. Notice the pattern? We begin treating our wants as needs when we start to justify our splurges. I’m not saying that is not OK to treat ourselves once in a while. In fact, I think you should, otherwise this whole budgeting thing will get old fast. However, you should be budgeting for these extras and not pulling from other areas in your budget. Needs should only be things that are essential for your family (i.e. shelter and food). Monitor your expenses closely each month, you will be surprised how much a latte here and there add up to at the end of the month. Maintaining a budget takes a lot of hard work and will require you to continuously tweak it. What areas do you find yourself struggling with? These are good easy to follow tips. I could stand to do a little better with these things. Thanks for the reminder! Great reminder for all of these, esp #4 and #5! I definitely find myself stopping at the store for little treats, which add up quickly. Same here, I think it’s a daily struggle for many of us. Thanks for visiting Lauren! 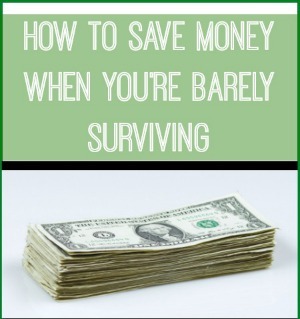 I really enjoyed reading all the tips on how to save money. I’m recently divorced and seem to be just scraping by each month. I’m going to definitely use a lot of your money saving tips. Thank you. I went through the same thing many years ago Lupe, so first *hugs* and know that it will get better. I find that having a budget also helped me a lot. It’s hard to say no to the kids, but finding free or very inexpensive alternatives made a huge difference for me. I hope you find some other useful tips on this site and there are many other sites out there that offer excellent advice. Praying for you during your new journey. These are such a great list! I’m totally clipping this to my Evernote. I need tips like these to help me keep a budget. I do so bad at it. I right there with you on #5. It’s so easy to justify spending on things you think you “need.” When you really stick to a budget carefully, you can budget in “treats” and not have to feel guilty for them! You are so right about not planning for special events. It made such a difference in my budget once I started planning for birthdays and holidays. Now if I could just get my meal plan under control. Thanks for the tips! I know you posted this along time ago, and maybe you have gotten meal plans figured out by now, but I thought I would share the tips that have helped me after struggling with meal planning for quite a while! I made categories for all of my different recipes (casseroles, crockpot, mexican, italian, breakfast for dinner, etc) and I rotate through them to help me keep a varied menu and not keep repeating the same things over and over. I also meal plan for a few months at a time. That way, it is done in one shot–no dreading it or putting it off. And if you want, you can just use the same list of meals when you come to the end of the months…it has been long enough that it doesn’t seem like a repeat! If our meals change, whether that is because I got a great deal on something that I need to use, we go to a friends house for dinner, the dinner I planned will take longer to make than I have time or energy for, or we just need to eat leftovers to clean out the fridge, I make those changes in my spreadsheet. Then I can look at what we actually ate and tweak the menu if I need to to avoid repeats. It has been a long time coming, but I love not having to struggle each night, or day if I am organized enough for it, to figure out what we are going to eat. Blessings on the journey of meal planning!